The move follows a decision in March to resign from the board of Crown Resorts, in which he was a major shareholder. 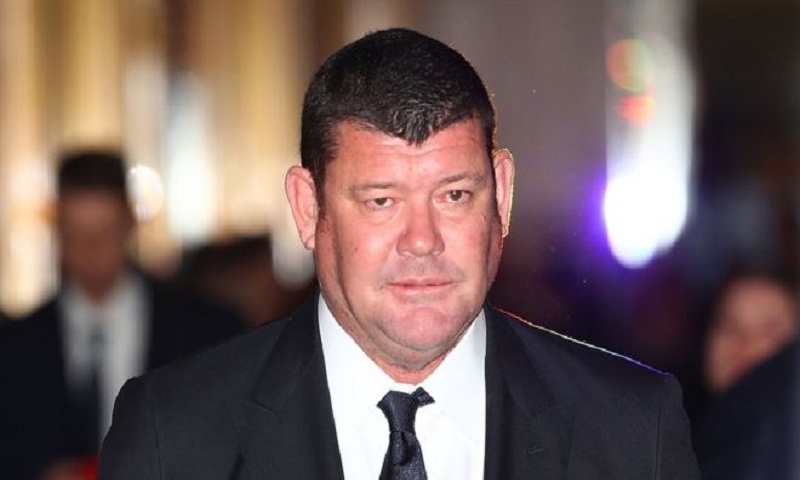 Mr Packer, 50, was among Australia's most high-profile businessmen, with an estimated worth of £2.3bn ($4.1bn). In 2016 he separated from singer Mariah Carey, breaking off their engagement. The split is believed to have contributed to a tumultuous period in the businessman's life, in which he was also caught up in a scandal involving Israeli Prime Minister Benjamin Netanyahu. His spokesman announced in March that he was dealing with mental health issues, a public statement for which he won praise from some business figures. "This makes Packer a lonely figure in business, but at the same time a brave and important one," John Brogden, chairman of Australian crisis support service Lifeline, wrote in The Australian Financial Review. Business leaders are often reluctant to reveal mental health illnesses because of "how that would be perceived by the markets or by their colleagues", Mr Brogden said. Mr Packer became one of Australia's richest people after his father, prominent media tycoon Kerry Packer, died in 2005. He sold the publishing and television empire he inherited to form casino firm Crown. He served on the boards of some of Australia's biggest companies, including the airline Qantas. He first stepped down from the board of Crown in 2015, before rejoining last year after the company exited its Macau and US investments, and switched its focus back to Australia. But he rejoined the board amid the fallout from the jailing of 16 Crown employees in China for illegally promoting gambling. He was also forced last year to abandon an attempt to break into the Las Vegas casino business, and he ended his partnership with producer Brett Ranter in RatPac Entertainment. He quit the board of his private company Consolidated Press Holdings (CPH) on 27 June. Corporate records show he resigned from 19 other directorships on the same day, and another two since.